Put your feelings into words by writing your fiancé/ée a handwritten letter. This simple gift is one of the easiest, yet most meaningful ways to let your significant other know how much you love them. From reminiscing on the past to making predictions about your future together, this idea is priceless. Whether it is a paragraph or a short novel, this touching sentiment will make your loved one feel truly special. MAE's Tip: Plan out what you are going to say long before you grab that card. With the rush of emotions coming at you from every direction on your wedding day, its easy to forget a point you wanted to make. Jotting moments down in your iPhone notepad or typing ideas out ahead of time sets the foundation for the perfect love letter. As they say, a picture is worth a thousand words and we believe that documenting the exchange of notes and gifts is essential. In all of our years planning, some of our absolute favorite moments involve the special moments getting ready and letting the love notes and gifting transpire. These intimate moments become long-lasting and even more beautiful when captured by photography and videography. MAE's Tip: Be sure to have a private chat with your Wedding Planner on coordinating these special moments. Your planner with work directly with your wedding photographer and videographer to ensure these moments are timed to perfection and can even be kept a surprise. Capturing these intimate gestures makes for some of THE BEST footage from your big day. What better way to make that lucky someone blush than by gifting them a dance just for them… and all your wedding guests! Choreographed dances are a fun way to incorporate your silly and sassy side. Whether you go at it solo or have your wedding party join in, this gift will entertain all of your attendees and also give your loved one a good laugh! This present can be pretty time consuming but oh so worth it when you put on your dancing shoes and strut your stuff! MAE's Tip: Practice makes perfect! Don't underestimate how much work goes into this gift. 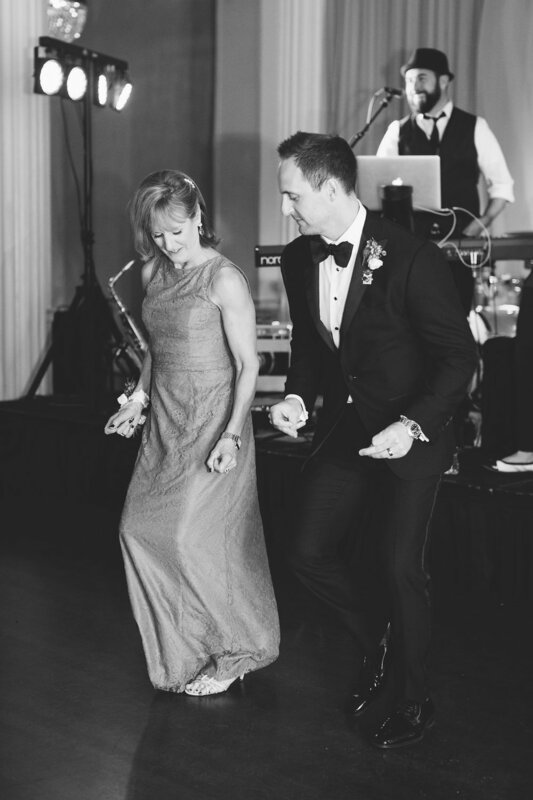 Hire a professional to help you choreograph a dance and get all of the moves down pat. With a little practice and dedication you are likely to be able to do things you couldn't imagine and prove to everyone you don't have two left feet! If you don’t feel up to a creative challenge and just want to add something extra special, traditional gift options are a foolproof way to say "I love you!" For the most spectacular day of your lives, spoil your future spouse with a gift that is over the top! Look for exquisite pieces of jewelry or high-end items that will last forever. Whether they are into unique, antique pieces or are deserving of a luxury bottle of champagne, there is a perfect item for everyone! MAE's Tip: We love the idea of gifting an item that can be enjoyed for years and passed down to loved ones! Get your bride or groom a legacy present as a beautiful way to remember this amazing day for generations to come. In our opinion, nothing is more timeless than the gift of a watch such as the beautiful one pictured above! To see how Marquette Avenue Events can help you find the perfect gift for your #1 and most importantly, assist in the planning of your dream wedding, please visit us at www.marquetteavenueevents.com or call us at 312-585-7265.